Sometimes I'm left wondering—when does a recipe cross a line from doable to too daunting for the average home cook? 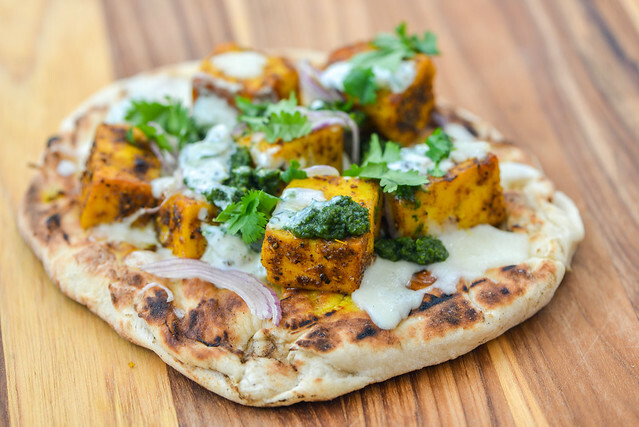 These naan pizzas with a spiced paneer serve as a good example of that question being brought to the top of my mind. I made them at a pizza-themed Meatwave and they were the biggest hit I had of the day, so it was a no brainer they'd be slated for a spot on the blog. When I began writing up the recipe though, the long laundry list of ingredients and multitude of steps the the final recipe required became more clear as I wrote everything down in its final format, leaving me to question if anyone would ever try making these themselves at all. In the end, I even left off an entire sauce I had used in my pizza to try to condense things down a bit, although I'm not sure I did myself any favors really. So I'll let you judge for yourself whether these "pizzas" are worth all that goes into them—I know for myself, the answer was a resounding yes! I view ribs much in the way I do chicken—a blank slate just waiting for any type of introduction of flavor. 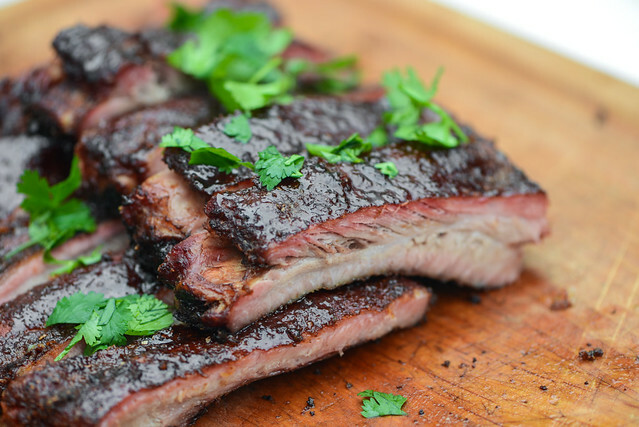 Ribs offer me a great way to experiment with rub and sauce pairings, and my love for that can clearly be traced by venturing through my now twenty-plus rib recipes I've amassed. I feel like no matter what theme my Meatwaves take on, I can always think of a rib recipe that could fit in. While crafting an Indian-inspired menu for a cookout last year, I made a bet that I could use all the spices that were seasoning my chicken and veggies and put them together into a rib recipe that would be both awesome and like none other I've done before, and that's exactly what I got with these Indian-spiced ribs. 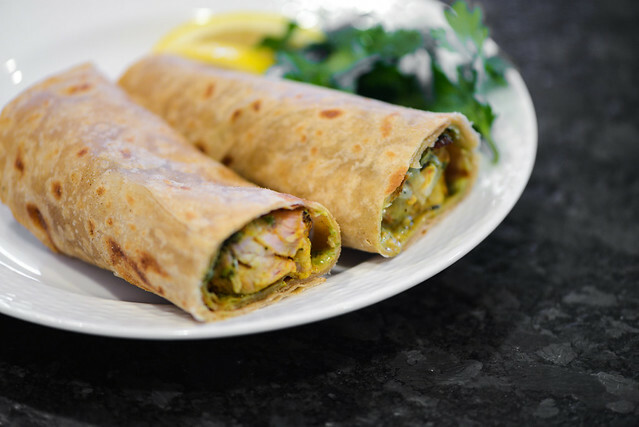 Sometimes I wonder if sharing a recipe like these chicken tikka kati rolls is an exercise in futility—would anyone else take the time I did to make two sauces, bread, and tandoori chicken for what is essentially street food? My hope is the answer is yes, and that my choice not to lessen the time or effort to make these Indian rolls, that can be consumed as a snack or meal, results in at least one other person making them as good as they can be, which is how I would describe them after working through the recipe and giving it the Meatwave stamp of approval. When transitioning from a picky eater to my less-than current state, there were a number of "gateway" foods that led me into enjoying cuisines I normally would have shunned. For Indian food, that item was chicken tikka. 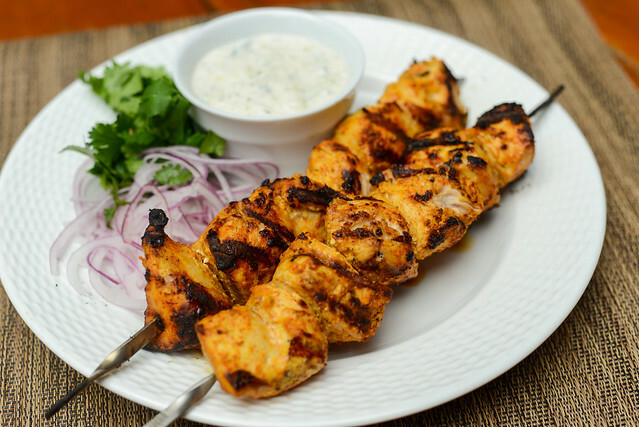 It's easy to understand why—these boneless chicken chunks marinated in a fairly mildly spiced-yogurt sauce and then cooked in a tandoor were on the spectrum of the usual type of chicken I enjoyed, just with a slightly different flavor profile. It was my go-to at any Indian meal for a long time, but I can't even remember anymore the last time I ordered chicken tikka, or any tandoori chicken for that matter, as I've found more pleasure in dishes like spicy vindaloo or creamy saag paneer. Still, there will always be a fond place in my heart of chicken tikka, and developing a recipe for it recently brought back some comforting memories. A few weeks back you could find me waxing poetics on tender and flaky paratha. Yes, I do love that bread, but when it comes down to it, I don't think I've ever had an Indian meal where I wasn't compelled to order naan. This simple, soft bread customarily baked in tandoors—large, super hot clay ovens—is a creature comfort of mine and was rightfully one of the first breads I ever attempted to make at home. 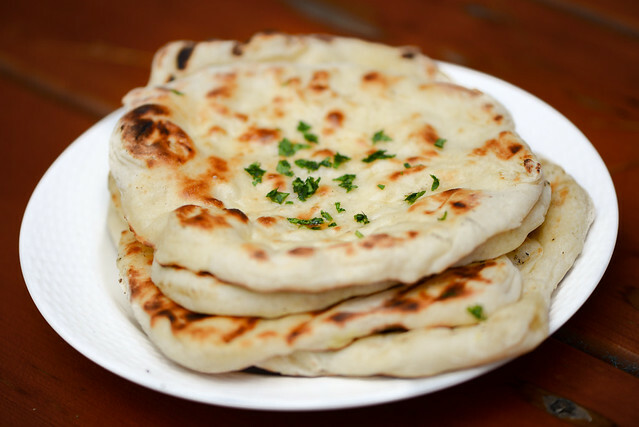 I have had a sordid past with bread baking, and previous tries at naan had left me frustrated with lackluster results, but that relationship has been growing more prosperous and I assumed with more know-how under my belt, I'm finally in a position to make an ideal naan.